If one is going to have guns in the home, one should consider some manner of gun storage. Safe, secure gun storage is a must, since it's just good to be safe and it is especially important if one has little ones running around. Here are a few things to know about storage. If one is looking to implement some sort of gun storage, there are a number of ways to safely store a gun. 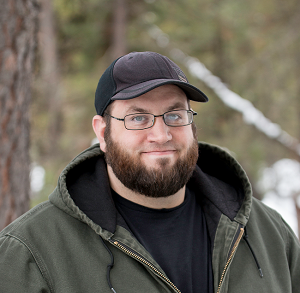 They can be used in lieu of each other or concurrently; it depends on what the person storing the firearm wants to do. Safe storage is a vital component of gun safety, and everybody should consider some manner of safe storage at some point. Basically, it boils down to a locking container or a lock on the gun itself. Having one doesn't mean the other isn't needed or necessary. Again, some people like to have both at the same time. As far as containers go, there are myriad options, ranging from simple lock boxes all the way up to and including actual safes. How safe it is depends on what one does with it. A trigger lock is about as straightforward as it gets. The basic kind has two halves with a locking shaft (or "shackle") in the middle. When opened, they separate. To lock the trigger guard, you put the two halves together, thereby inserting the shackle, and lock it. The other method is a padlock with a long, flexible shackle. Often called cable locks, pistol manufacturers have to supply them with every new pistol and case. To use, you open the action, thread the shackle through and lock it. Such a lock can also be used with long guns. 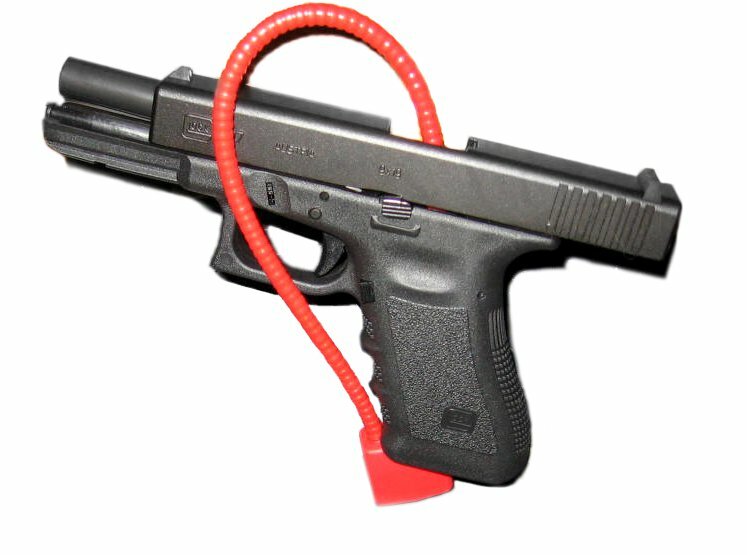 There are a few companies attempting to bring other solutions to market, such as Omega Gun Locks, who make an internal gun lock. The Omega lock uses a locking mechanism in a cartridge-sized housing; you have to order the caliber of your pistol. After inserting into the chamber, you put a key (looks a lot like an Allen wrench) down the barrel, and turn it. This engages the lock, which blocks the action. The other neat feature of the Omega is the lock features a recoil pad, which means it can be used to dry fire. 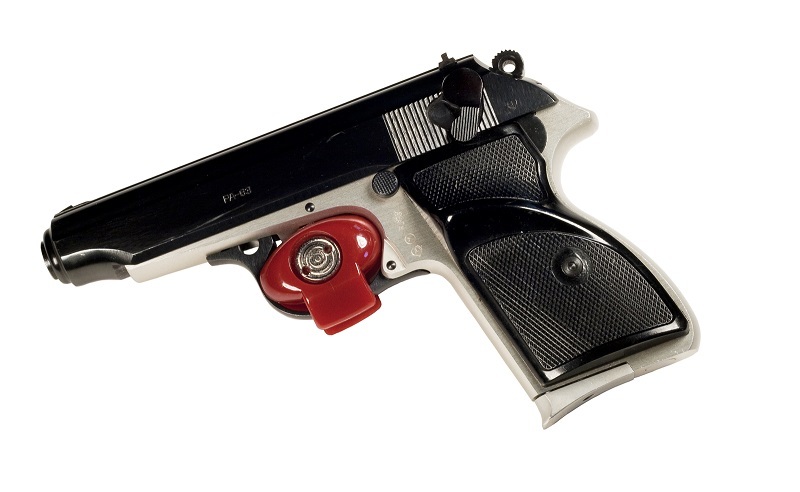 A few firearm manufacturers, such as Smith and Wesson and Taurus make pistols and other guns with internal locks, actuated with a supplied key. The owner/operator can thus lock the pistol for safe storage. Another implement of secure gun storage is by means of a locking container. This can take a number of forms. Locking mechanisms differ from a simple key lock to combination locks and up to biometric gun safe locks requiring fingerprint identification to open. Some people use a lockbox. Cheap lockboxes abound for a relative pittance, but they aren't necessarily that secure. A robber could take the box and open it later. Thus, a lockbox should be secured to a surface of some sort, such as a desk, wall, closet shelf, etc., for optimum security. There are also gun cases. A gun case can be anything from a simple carrying case (nylon, padded interior and a zipper) to Pelican cases and beyond; it's kind of a catch-all term. Some have dual zippers, which can have a luggage lock put on them. Some are made from harder materials (such as hard plastics, a la Pelican, or metal) with locking catches or holes for a padlock. Then there is gun vault-type storage. This includes a lot of different products, so while "vault" conjures images of the inside of a bank, it really just means a secure storage container of some sort. This class of products includes everything from gun cabinets (what it sounds like) to storage furniture optimized for firearm storage. The latter can be very discreet, with available containers being disguised as benches, grandfather clocks, tool chests and so on. 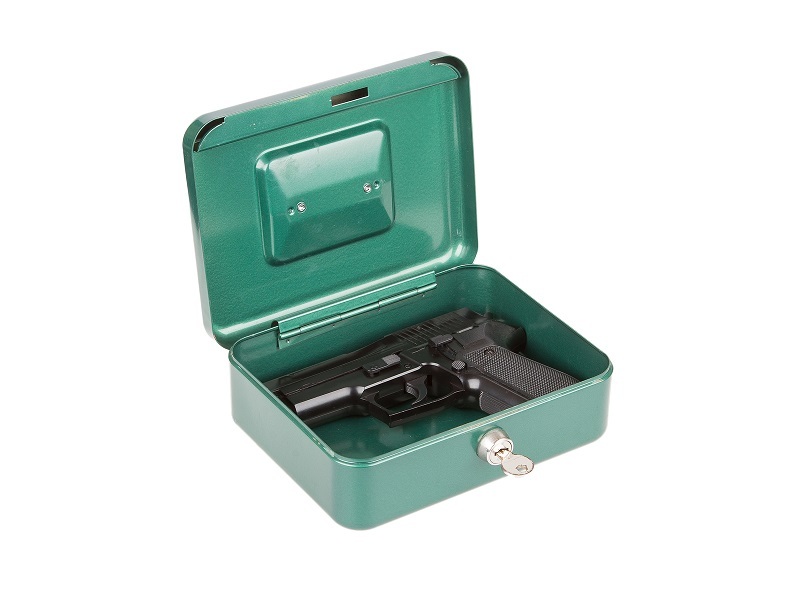 There are even wall-mountable gun storage containers that are easily adorned with knick-knackery. Then there are gun safes. A gun safe can range in size from a small pistol safe that goes on a nightstand, to a full meal deal gun safe that requires closet space. These are the ultimate in security and many consider them a must if children are in the home. 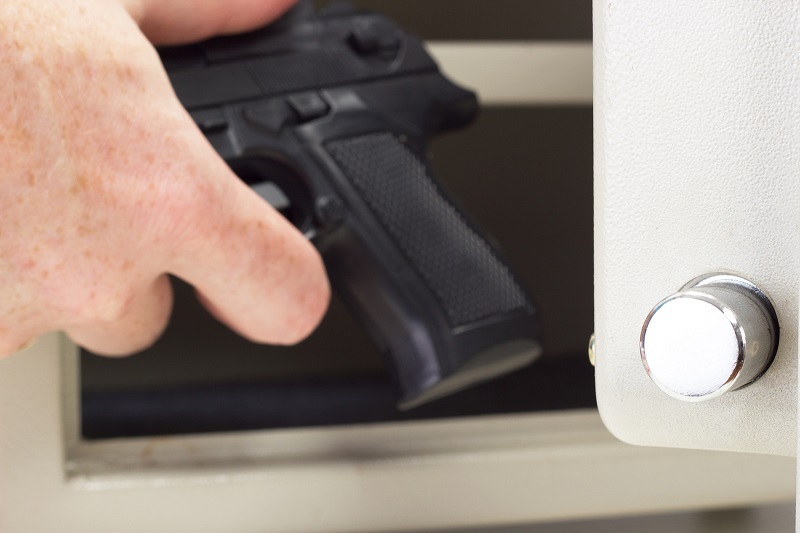 Naturally, a locked container that's either too heavy to steal or is secured to something larger than itself (such as a wall or dresser) is more secure than a gun that's sitting out in the open with a trigger lock. The more security you have, the more secure a firearm is. There isn't much debate when it comes to safe storage and child access prevention laws — if a child is unattended and doesn't have a grasp on gun safety knowledge, they shouldn't be able to get their hands on firearms without appropriate adult supervision and education. Reports on unintentional firearm deaths and injuries in youth age groups depict an unfortunate reality, although the numbers are decreasing. There aren't federal laws requiring private gun owners to store or lock weapons in a gun safe or with a safety device, but some address the matter. There are some state laws that require firearms to be locked. What Gun Locks and Storage Laws Exist, and What Are They? There was a gun storage law that changed the federal U.S. Code 12 years ago when the Protection of Lawful Commerce in Arms Act was enacted in October of 2005, and within it the Child Safety Lock Act of 2005 amended the Gun Control Act by adding Section 922(z) to 18 U.S.C. Under this amendment to the Gun Control Act, anyone who lawfully owns a handgun and uses one of these storage or safety devices is granted immunity to a qualified civil liability action. A "qualified civil liability action" in this case is civil action brought against someone for damages resulting from criminal or unlawful misuse of the handgun by a third party if the handgun was accessed by anyone except the owner without the owner's permission or authorization and if the handgun was made inoperable with one of those storage or safety devices. However, this law does not apply to transfers between private sellers and doesn't require transferees to use the device. The Consumer Product Safety Act states the Consumer Product Safety Commission may not make any ruling or order that restricts the manufacture or sale of firearms. Firearms, then, may not be required to include locking devices, but the locking devices separate from firearms themselves may be subject to regulation. That's the federal law, at least. There are various state laws on safe storage. The state definition of a minor shifts when it comes to child access prevention laws. In places like Iowa, children 14 years of age or older may handle firearms with adult supervision, other states like Florida raise that age requirement to 16. Often, symbolic numbers on charts are the backdrop of these laws. 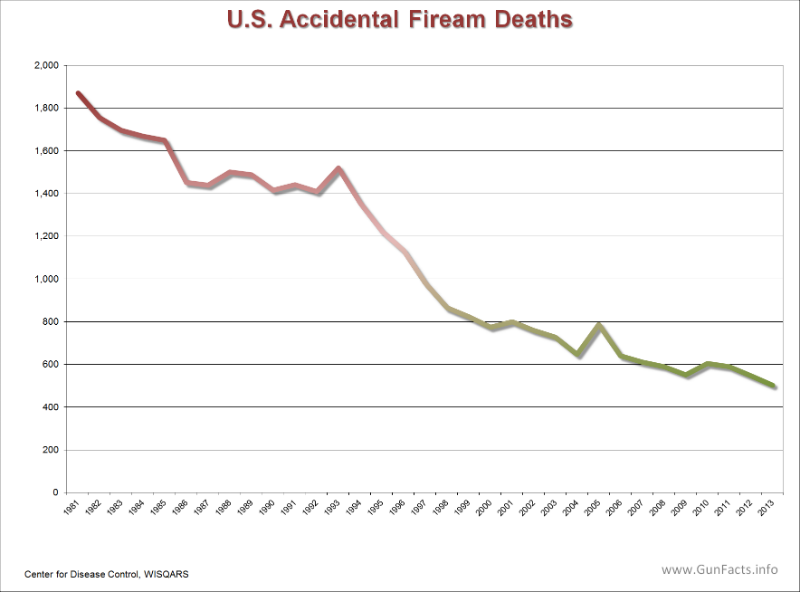 Have Unintentional Firearm Deaths Risen Or Lowered? According to the 2013 National Safety Council Injury Facts 2013 Edition, overall unintentional firearm fatalities decreased 58 percent from 1,441 in 1991 to 802 in 2001 and again by 25 percent to about 600 in 2011. According to data produced by the National Center for Injury Prevention and Control, there were 86 unintentional firearm deaths in 2000 for children age 0-14, 75 in 2005, 62 in 2010 and 48 in 2015. In 1990, that number was 236. There was a 79 percent decrease in child deaths over 25 years. Regionally, the West was the largest percent change (-71.1 percent) from 1990 (280) to 2010 (81), according to the National Center for Injury Prevention and Control. Any loss of a child's life is soul-wrenching, but fortunately the numbers are decreasing. There's no simple way to extrapolate qualitative data as to why that decrease may have occurred, but responsible firearms use and education may be a key factor. According to a paper in 1996 titled Factors Associated with the Intent of Firearm-Related Injuries in Pediatric Trauma Patients, 89 percent of unintentional shooting deaths of children are in the home, the majority of which are in the parents' absence. This leads to an important, and logical, next topic. Unintentional firearms deaths and injuries in youth age groups may be avoided by education, awareness and safe storage habits. Not many in the firearms community want to be told how and when their firearms should lawfully be kept and interacted with in the home. But, every gun owner can agree on one thing: gun safety. If firearms are going to be in a home, it's good practice to teach children what they are, what they are capable of and why they should be respected and not treated as toys. Even if it's a simple conversation. 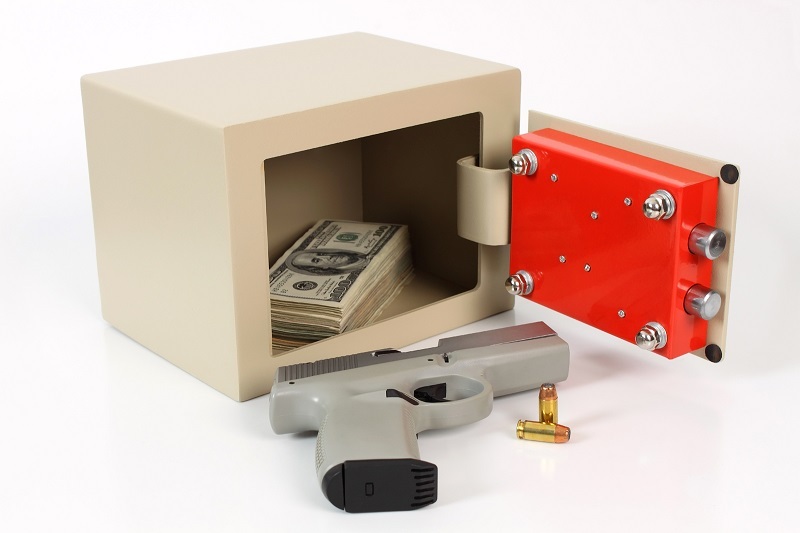 A proper gun safe or storage mechanism can relieve a lot of stress and heartache. Teach children the four rules of gun safety. Don't traumatize them with a bloody, grisly tale, but don't hide information from them. Teach them how to access emergency services like 911 if there is ever an incident. "Knowing that something is dangerous and respecting it are two different things," Marjorie Hardy, assistant professor of of psychology at Eckerd College in St. Petersburg, Florida said to ABC News. "There's no evidence to suggest that education works to keep them from doing an awful lot of illicit behaviors." Whether or not that's the case, if the reality is that firearms are going to be kept in a home, education and preparation can bring awareness to the capabilities of a firearm. Children are curious, and that's not their fault. Guidance is better than eliciting fear. Why Do Some People Dislike Trigger Safeties?